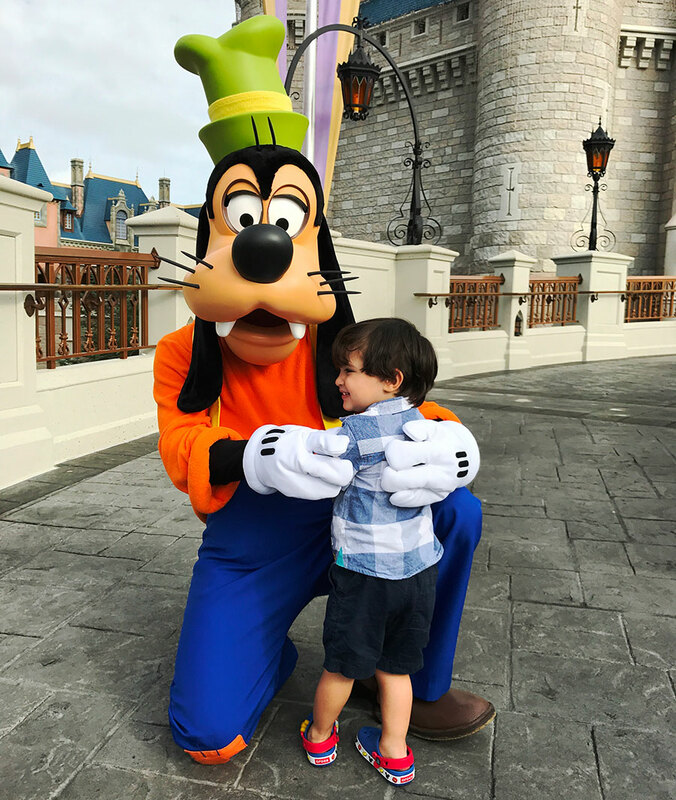 One of the things that I enjoy the most while visiting the parks at Walt Disney World Resort is taking my toddler son to meet the characters. Even at his young age, he truly likes running to hug Mickey and Captain Jake and pose for the camera. But not all niños are like mine. So here are a few tips for that first or second visit to see all the Disney characters! Take it slow! Let them see the characters either at a show or a parade first – if you can – and don’t run to the first character encounter that you find when you enter one of the parks. Don’t force hugs, interactions or that precious photo you have in your head. Always remember … young children can be shy and even scared when meeting Pluto or Goofy. Plan ahead! Take advantage of My Disney Experience both at home and during your vacation with the mobile app. You can schedule FastPasses and know the wait times at each character location. Use Disney PhotoPass photographers to capture every moment with Princess Sofia, Minnie, and Daisy! The best tip that I can give our guests with young children is to remember that all kids are different. Go with the flow and let them experience the moment, regardless of how happy or reluctant they seem to be. But be sure to have your camera ready!